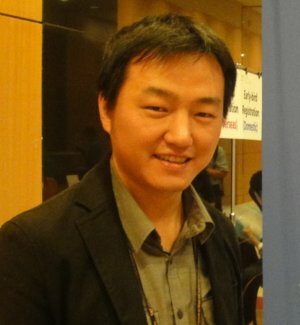 Jian is Senior Technical Expert in the AI Lab in Alibaba, where he is responsible for Aligenie AR open platform. 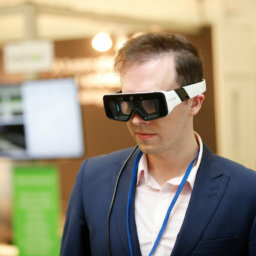 In 2006, Gu Jian was woking in HIT Lab NZ (in University of Canterbury, New Zealand) which is funded by Mark Billinghurst (inventor of ARToolkit) and is one of the top augmented reality research laboratories in the world. After 3 years in Hit lab NZ, Jian went to Singapore for the further AR research, working at the Interactive and Digital Media Institute in the National University of Singapore (NUS). Jian is mainly responsible for mobile AR research on Google Android and Apple iOS platform. He developed the mobile AR game engine: MARGE. In 2011, Jian was invited to join MXR Corporation Pte Ltd Singapore with responsibility for building the technical team in his role as chief Technology Officer and CoFounder. Jon helped MXR to establish mobile AR platform as the core of the development direction of the company. He also helped change company’s business model from project focused to product based. From the technical side, he help MXR build AR distribution platforms and authoring tools for the publishing industry. This platform simplifies the process of creating AR content and allows the company to develop content with a variety of publishers. In 2015, Jian joined Baofeng Mojing and was responsible for AR product Research and interaction technology research work. In Baofeng Mojing, Jian’s focus was gesture tracking and SLAM. This led to his joining Alibaba as Senior Technical Expert in 2017.